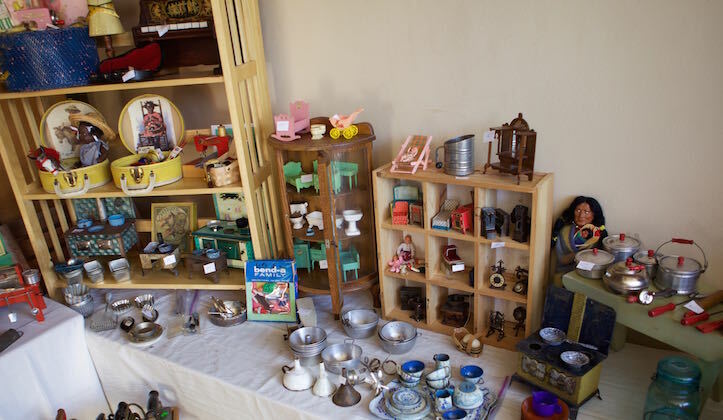 Garage sales and flea markets are a great way to find unusual and every day items at a reasonable price. People in neighborhoods around the country often have garage sales during the spring and summer months when the weather is warmer. Spending the day looking for garage sales can be a fun experience, and a way to find all kinds of great items for much less than retail. Flea markets are a larger version of garage sales, where many different merchants gather to sell items both used and new. 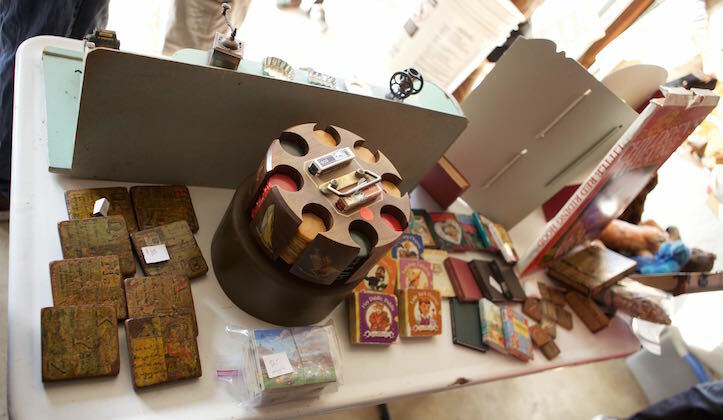 Antique and vintage items can often be found at flea markets and garage sales as well. You'll be surprised at what you might find. Garage Sale Locator Find a garage sale in your local area by city or state. Garage Sale Tracker Use this easy guide to enter in search criteria to find a garage sale near your neighborhood. iPhone Garage Sale Locator This application for your iPhone can be downloaded and used while mobile to help you find garage sales near you. Garage Sales Across the Country A very simple to use site that lets users put in their state and/or zip code to find garage sales. Garage Mama A place where people can post their own garage sales, or search for ones in their area. National Garage Sale Locator Don't spend your day wandering around aimlessly looking for garage sales. Use this easy locator to find one nearby. 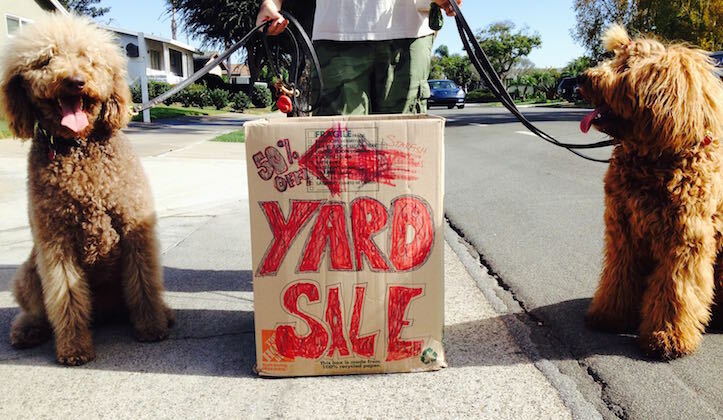 Yard Hopper This fun website has a list of yard sales, garage sales, moving sales, and more. Junk Market Style A great website full of photos, a locator, and much more for fans of "junk shopping." Find a Flea Market Choose your state and look for flea markets in your area. Flea Market Search Find a flea market near you by clicking on your state. Flea Finder Use this map to find a flea market. Flea Market Mama A useful website with a map to help you find a flea market near you. Flea Market Locator A simple directory showing flea markets by state. Flea Markets and Swap Meets This site can help you find flea markets and swap meets in any area of the U.S. Kids Clothes Pricing Guide This guide can help you price kids clothing at your garage sale. Easy Pricing Guide This article lists the average price you should charge for various items. Find Great Deals Several tips to help you find the best deals when garage sale shopping. Pricing Tips and More An excellent page with pricing tips and much more to guarantee success at your sale. Pricing for a Garage Sale Information about what average prices should be for various items sold at a sale. How to Price Items This handy guide explains how to bundle and price different things for a garage sale. Tips for Sellers A brief article with advice for garage sale sellers. 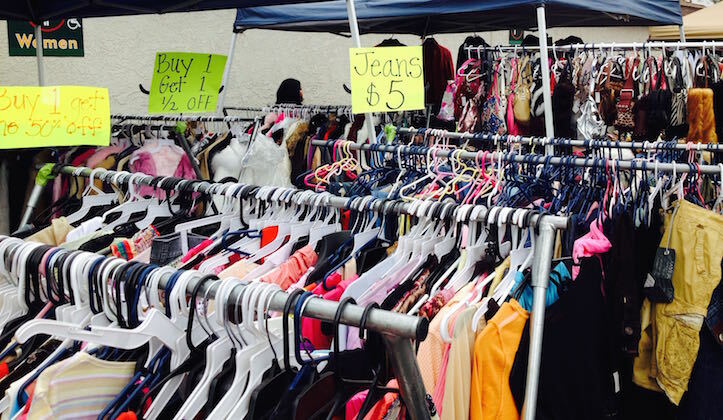 Pricing Advice Some fast tips for pricing items at your garage sale. Community Yard Sales Helpful information for holding a successful yard or garage sale. Sign Creator Use this easy form to create your own yard sale sign! Money Making Tips Here are some helpful tips to ensure you make some money at your garage sale. How-To Guide This guide explains reasons to have a garage sale, what to do in order to make it successful, and much more. Buying & Selling Tips An excellent article that gives tips for both buyers and sellers. Checklist Use this checklist to help you get ready for the big day! Web Resources Helpful websites to find great deals, garage sales, and much more. Hosting a Successful Garage Sale Some great tips to ensure your garage sale is a success. Tips for Shoppers Some advice for shoppers to get the best deals. Advice for Success More help for people hosting a yard or garage sale. How to Sell at Flea Markets Advice for people selling their merchandise at flea markets, and how to get it sold. Sign Examples A few photographs of garage and yard sale signs from across the country.